Welcome! 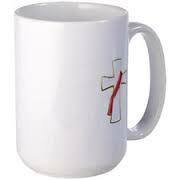 Here is a cup of coffee, hot off the Keurig. Today, I want to share experiences from last weekend. Last Saturday, the second Saturday of the month, my Secular Franciscan fraternity holds its monthly meeting. It is held at Saint Anthony’s Shrine, located in downtown Boston, MA. I have been trying to attend this meeting more regularly; so, I was up early in the morning, grabbing a commuter train. I transferred to the subway, and got off at Downtown Crossing, Boston. I came early into the city; so I would be able to walk around the area before the meeting. It had been a while since I had made such a walk about. The biggest change in the neighborhood, is the Millennium Tower. Built in the space where the famous Filene’s Department Store once stood, it is a very, very tall high-rise building. It houses department stores, offices, and condominium apartments. I have not been around the entire building, so I was amazed at the changes I saw! One thing that really stood out for me; was the number of coffee shops that are in neighborhood now! I am not talking about an increase in the number of Dunkin’ Donuts and Starbucks; but places like Caffe Nero. One can imagine the amount of caffeine flowing through the veins of the residents and office workers! One stop that I had to make was the Bromfield Pen Shop, which is located, where else? On Bromfield Street! It has the largest collection writing instruments, including fountain pens, I have ever seen. And the most expensive collection of pens I have ever seen! I like looking over their pens, and the notebooks and journals they sell also. Sadly, I have only been able to purchase a Pelikano Junior, a very sturdy plastic fountain pen. I purchased a new box of ink cartridges for it, and with a wistful look behind me, left the shop. I continued to walk up Bromfield St., towards Tremont St., which forms one border of the Boston Common. My intention was to visit the Episcopal St. Paul Cathedral. The church was established in 1819, as an Episcopalian parish. In 1912, St. Paul’s was designated as the Cathedral Church of the Episcopal Diocese of Massachusetts. When I worked in the Downtown, I would visit St. Paul’s on a regular basis; I found the quiet interior to be conducive to meditation. Back then, it still had, what I would call, cubicle seating. The pews arranged and separated by stalls. I had heard that the cathedral church was going to be renovated, and I wanted to see the result. When I entered the main church, I was stunned! Gone were the pews, the memorial plaques on the walls, the altar rail. It was wide open space, with stackable, plain chairs arranged for some service. The interior was flooded with natural light, streaming from the skylights above. And in the center, was a labyrinth. Music flooded the church, as an organist was playing at the organ in the chancel of the Cathedral. I still had a very peaceful experience during my time there. I, Bobby Hillis, by the grace of God, renew my baptismal promises and consecrate myself to the service of his Kingdom. Therefore, in my secular state I promise to live all the days of my life the Gospel of our Lord Jesus Christ in the Secular Franciscan Order by observing its rule of life. May the grace of the Holy Spirit, the intercession of the Blessed Virgin Mary and our holy father St. Francis, and the fraternal bonds of community always be my help, so that I may reach the goal of perfect Christian love. So that was my trip into downtown Boston; now the coffee cups have to go into the dishwasher rack. Hope to see you again next week. Over a cup of coffee, I would share with you my sadness over the natural disasters that have afflicted this part of our world. Three hurricanes tearing apart the Caribbean, Mexico, Texas and Florida. Mexico then was hit by an earthquake, that caused further destruction and death. It is sad that it takes disasters like this to bring this country together for a common cause of bringing relief to fellow citizens in desperate need. Yet, it is also heartwarming to see that concern for o thers, and the efforts being made to get aid to the suffering. My prayers go out for those who have died; for the mourning loved ones left behind; and for those who survived and are trying to rebuild their lives. Over a cup of coffee, I would share with you that this posting being on a new computer I have been able to acquire a new computer. Both the desktop that I have had for almost a decade, and a used laptop I inherited, can no longer accept the anti-virus and system updates. So when I have been able to post, it has been with my IPhone; and I have learned that I do not have the thumbs for typing, that younger folks have. So we came into a little extra money, that enabled me to get this little Dell laptop. So now I have no excuse not to be a more frequent blogger. As I fill up the cups with more joe, I would share with you that yesterday, Saturday, I attended another monthly meeting of my Secular Franciscan fraternity, located at St. Anthony Shrine, in Boston. 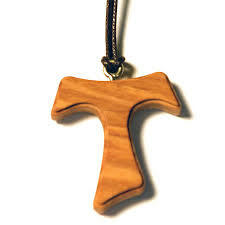 I may have written that it is becoming important for me to get back to my Franciscan roots; and one way is to being a part of the fraternity again. This particular meeting was important, since we were having our chapter of elections. Every three years, the professed members gather to elect a minister and council, who will help guide us on our Franciscan journey. It can be a long process, but it does draws us all closer as a fraternity. My prayers go out for those who were elected, that the Holy Spirit will give them wisdom, an increase in patience and charity, for the next three years. Well, the cups are empty, and I started this post way too late. So, I promise to be more timely, and more frequent. And I will definitely see you next week over a cup of coffee. Peace and all good! Over a cup of coffee, I would share with you how upset I have been over the events in Charlottesville, VA. I had hope that we had outgrown the white supremacist movement; and the racism and hatred it generates. But, that appears not to be happening. We know we must confront it, but we need to realize we cannot use the same tactics. We, as a nation, are better than the racists in our midst. Over a cup of coffee, I would share that earlier last week, my wife and I were still on Cape Cod, MA, with members of her family. 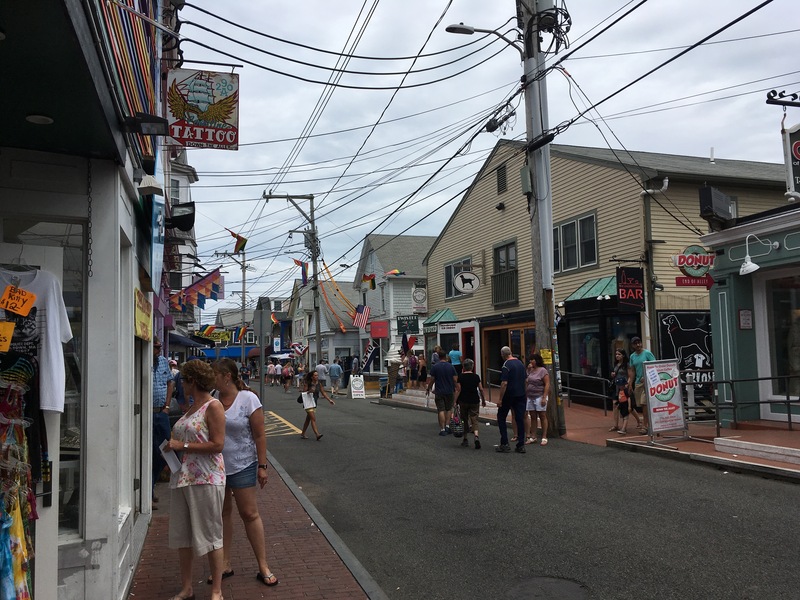 While there, we paid a visit to Provincetown, located on the northern tip of the Cape. Let us say, it is one of most unique communities in the Commonwealth, maybe in the country. When you walk through the town streets, you are in the midst of a diverse crowds of people. It can be a very interesting time. Over a cup of coffee, I would share that I have increased the number of books I have read. Trying to spend more time with a book in my hands, rather than an IPhone. Yesterday, I attended a meeting of my Secular Franciscan fraternity. It has been awhile, but I needed to get back in touch with my Franciscan spiritual roots. 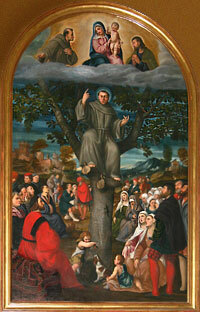 The Secular Franciscan Order is a lay branch of the Franciscan Movement. It was good to see old friends again. Well, the cups are in the dishwasher rack. I will see you again next week. The water is heated in the Keruig, and coffee is pouring into the cup. The unpacking is pretty much done, all the cardboard boxes broken down and tossed away. 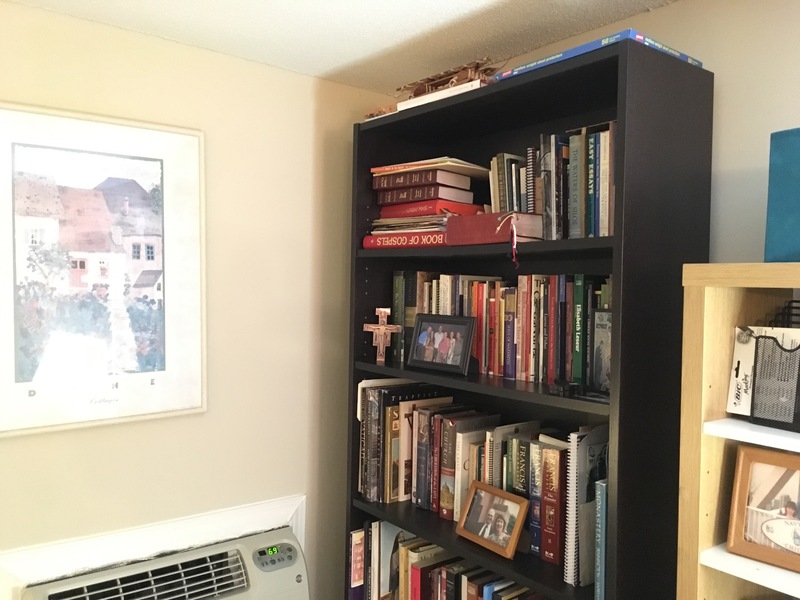 My books are on the shelves, the ones that survived the culling. Lately, I have come to the realization that I have not read as many books as I used to. Now, a lot of my reading is done with this darn smartphone. I am determined to change that, catch up on the unread books, revisit the read ones. And hopefully, I will recapture the joy of holding a printed work in my hands. I am still working at getting a new deacon assignment here in the South Shore. There are some leads, we will just have to let the process workout. This will a quick cup tonight. Hopefully, I will more to write about, more to comment about, next weekend. It has been a long time since we shared a cup of joe together. So let me catch you all up on what’s happening. The first news is that my wife and I are no longer living in Beverly! We decided that we needed to find a more affordable apartment; and since my job is in Quincy, in the South Shore, we decided to search there. Long story short, we found an apartment in Bridgewater, MA; and on July 13th, we moved in. The commute to work is now much easier, less stressful. The only downside was that I have to leave the three Beverly Catholic parishes I have been serving at since 2012. Because of the short window of opportunity, we had to move fast on the process; and I had to give very short notice to our parish administrator and the parishioners themselves. Leaving those people I have been with close to 5 years was very sad. Now, I am between assignments; and feeling a bit out of sorts. For two Sundays now, I have participated in the celebration of the Eucharist in the pews, with the congregation, and not at the altar. It should not make at difference, and it does not make a difference. But it still feels strange to me right now. The process of getting a new assignment is longer than I thought. I have to first check a page listing the parishes seeking a deacon, and if any are within striking distance from where I live. Arrange an interview with the pastor. Then, if we are in agreement, ask the Archdiocese to assign me to that particular parish. So, we will see what happens. As we drain our cups, I will share with you that I still do not have a working computer; and an IPhone does lend itself to long essays. But I do intend to post a little more frequently. I hope. Well, the cups are in the dish rack; and I wish you God’s blessings and peace. Over a cup of coffee, I would first apologize to you, then say: “THE N.E. PATRIOTS ARE GOING TO SUPER BOWL!! !” There; sorry, but I had to get that out of my system! Now, over a cup of coffee, I would share with you my concerns over the Presidential Inauguration that took place last Friday in Washington D.C. Never in my life, have I been more worried about the person whom the nation has elected to guide it for the next four years; and there have been some past Presidents, that while I may have fiercely disagreed with them, I respected them. For it has been reported to me about you, my brothers and sisters, by Chloe’s people, that there are rivalries among you. I mean that each of you is saying, ‘I belong to Paul,’ or ‘I belong to Apollos,’ or ‘I belong to Cephas,’ or ‘I belong to Christ.’ Is Christ divided? Could we change the wording, and have “each of you is saying, ‘I am for Trump,’ or ‘I am for Clinton.’ Is Christ divided?” We, as a community of believers, need to realize, need to experience that around the altar of the Lord, we are one with Christ; we are all united in the Body of Christ. This is something we all need to work for. O God, source of perfect unity, pour out your grace upon your Church at prayer. Heal the divisions and mistrust past years have wrought among your children. We pray without ceasing for conversion of heart and a deeper faithfulness to the gospel. We pray for a closer relationship with Christ Jesus who prayed ‘that all may be one.’ Fill us with the desire to unite ourselves to his prayer of unity. May we live as one, as you are one, Father, Son and Holy Spirit, now and forever. Amen. Over a cup of ice coffee; I would share with you that I was not totally surprised by the election n of Donald Trump. It has always been my belief that there was always a chance that he would win. News analysts have pointed out several factors that contributed to his victory. First, he spoke to blue-collar workers in those states that make up the”Rust Belt.” These are those voters who felt left behind during the country’s economic recovery. They felt ignored by federal government; by the Democratic Party, which originally was their party. They now see it, and the government as supporting Big Business; and immigrants. They claim to not recognize the country they live in; and they were mad as heck! They were looking for anti-political establishment figure, and found him in Donald Trump. The irony is that it was these same blue collar workers who helped to elect Bill Clinton to the Presidency. Reports are out there that he told Hilary’s campaign staff not to ignore the workers in states, like Michigan, but he was ignored. There were other factors also that contributed to Clinton’s defeat; she just had too much baggage, from her e-mails, to her cozy relationship with the Wall Street establishment; a lot of people just could get excited about her enough to go out and vote for her. Now the country waits to see what a Trump Administration means for us, for minorities, for immigrants, and for those workers who have pinned their hopes on him. There are already sizable protests on both coasts of the country; with people crying out: “Not my president.” The fact of the matter is that come January, 2017, Donald Trump will legally, constitutionally, be the President of the United States. We can either accept that fact or be responsible for the ending of the political experiment that is the United States of America. Well, my mug of iced coffee is empty; and believe it or not, I am about ready to pass out. So I hope to see you again, over a cup of coffee.